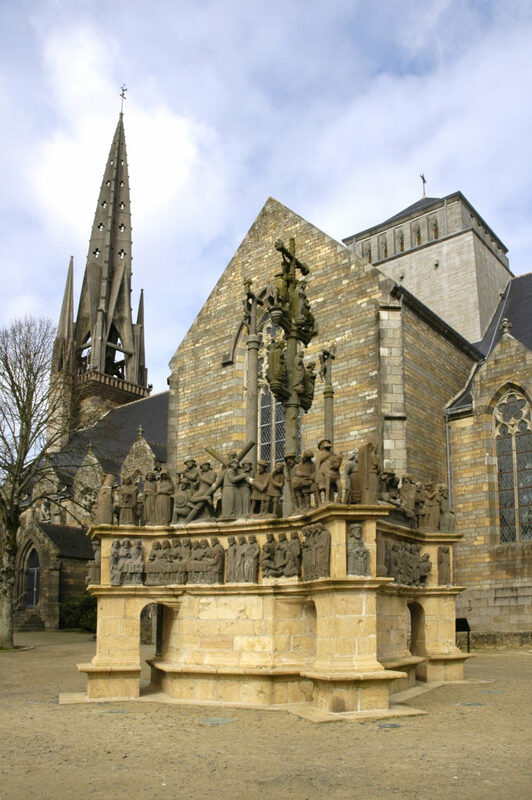 Plougastel’s motto “By land and sea” – War zouar ha war vor – assures the geographic positioning of this peninsula from the world’s end, opened on Brest’s harbor and surrounded by Elorn and Daoulas rivers. 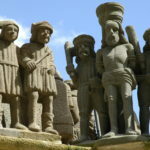 Over the centuries, its inhabitants have been able to make the most of the peninsula’s situation by exploiting maritime and farming wealth of the area. 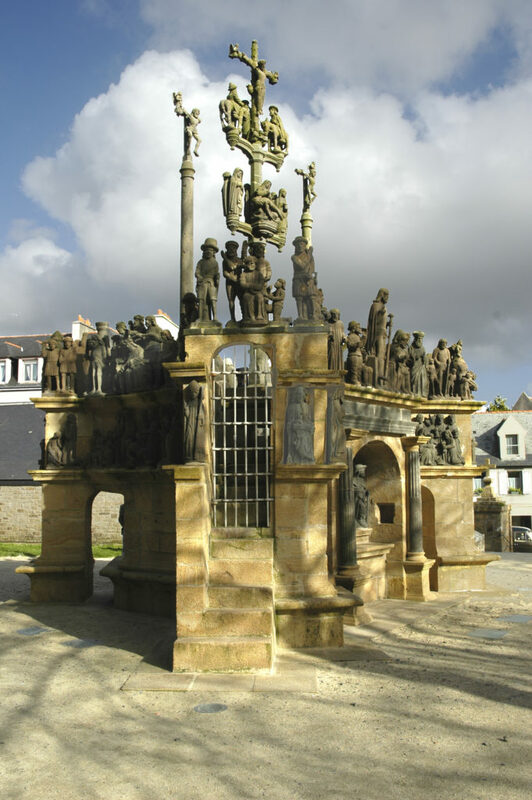 It is not surprising that one of the seven monumental Breton calvaries is located in the famous city of the strawberry. 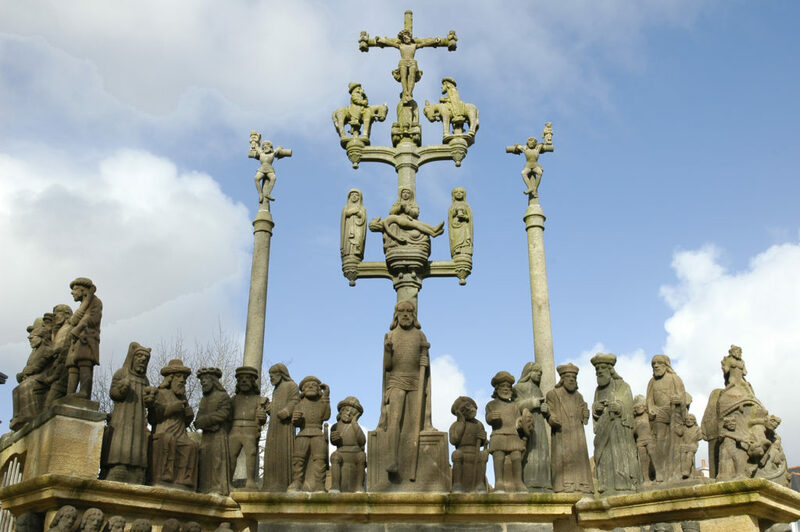 Today, the calvary is the ultimate vestige of the parish complex which was destroyed by allied air bombings on the 23th and the 24th August 1944. 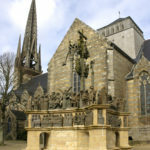 The actual church, built in 1870 by the diocesan architect Le Bigot in order to replace the 17th century church, had to face the damage of the war and had to be restored. Indeed, the actual view presents an area of urban cohabitation where modern reconstructions give some space dedicated to the preservation of a first-class work of art. 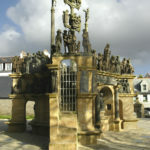 The construction of this monument at the beginning of the 17th century is linked to the 1598 plague epidemic which decimated almost a third of the peninsula’s inhabitants. 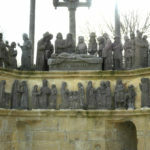 A legend explains that the monument is the result of a wish expressed by Lord Kereraod who promised to build a splendid calvary in case he was the last victim of this awful disease. 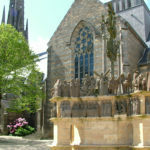 Whatever, writings carved on the monument confirm that the work was erected between 1602 and 1604. 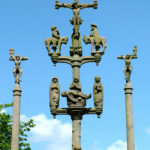 During the Second World War, serious damage was done to the calvary. Its rescue is a credit to the soldier John Davis Skilton, curator of Washington Museum in his civilian life. Indeed, he participated to preservation and restoration operations of the work. 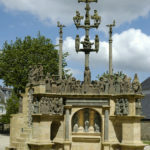 Twenty years after the restoration by the American soldier, the Master of Plougastel chose to go back over a positioning already seen at Guimiliau’s churchyard. 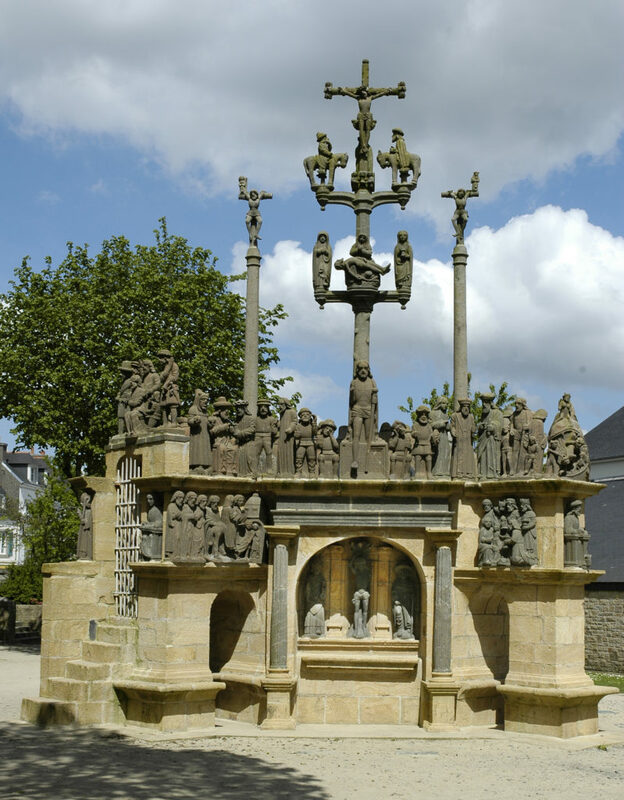 Only the three crosses on the calvary of Plougastel disrupt the evident similarities of these two monuments. 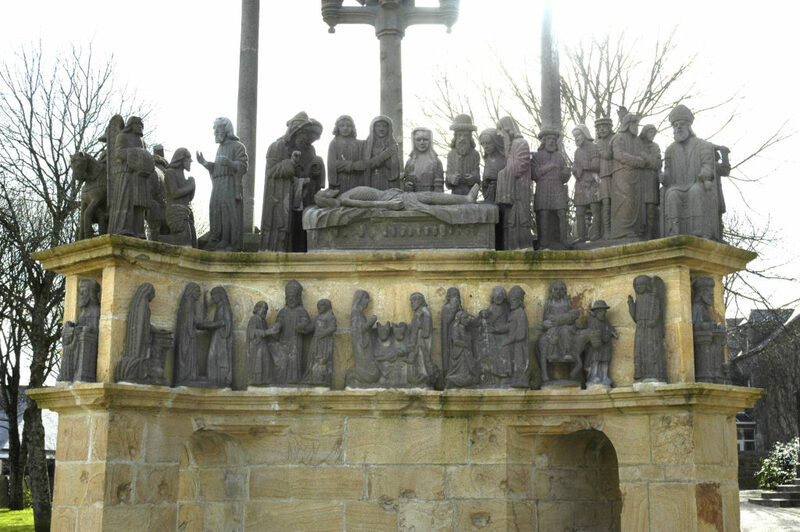 Sculptures are made of Logonna and Kersanton stones extracted from quarries near Plougastel. 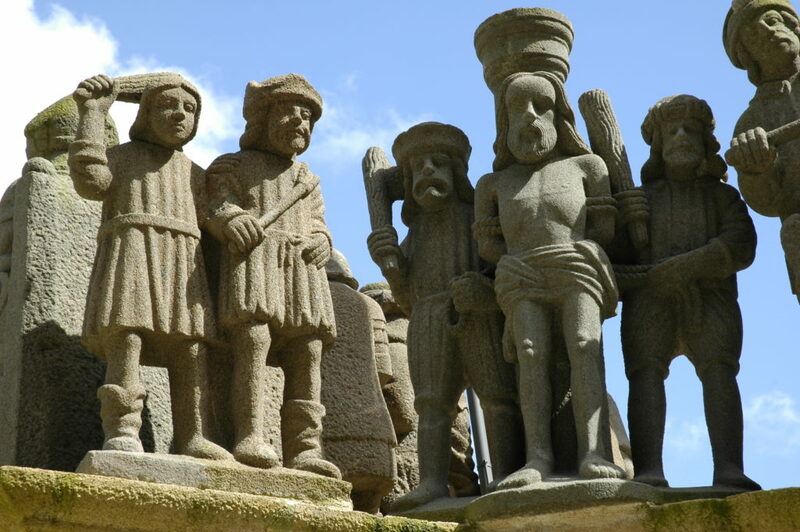 The result is a harmonious contrast from where rigid statues stand out in a solemn hieratic way. 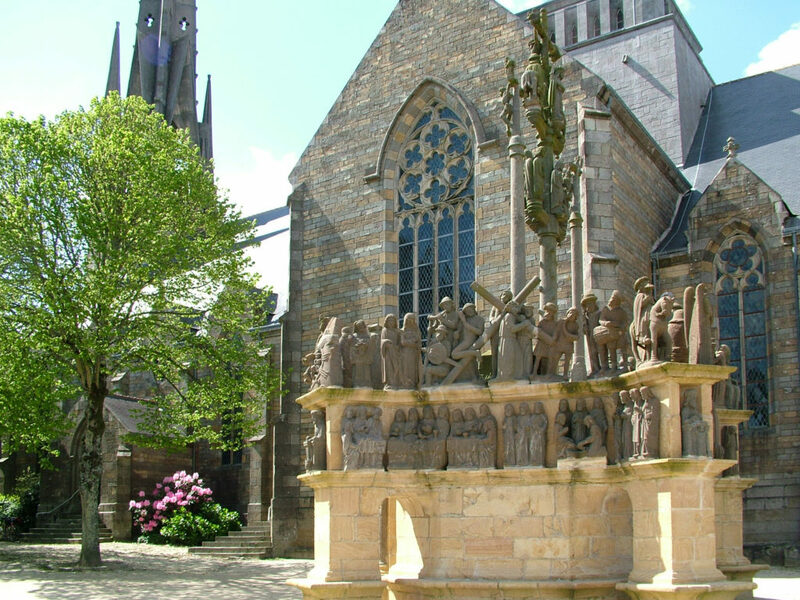 – Saint Roch and Saint Sebastian are invoked against the plague. Their presence confirms the fear about the epidemic resurging really existed. – André Malreaux took Veronique’s group on in “Le musée imaginaire de la Sculpture mondiale”. 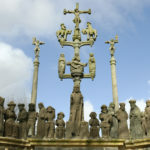 – The marriage of Marie and Joseph is one of the carved groups only represented on one of the seven monumental Breton calvaries. 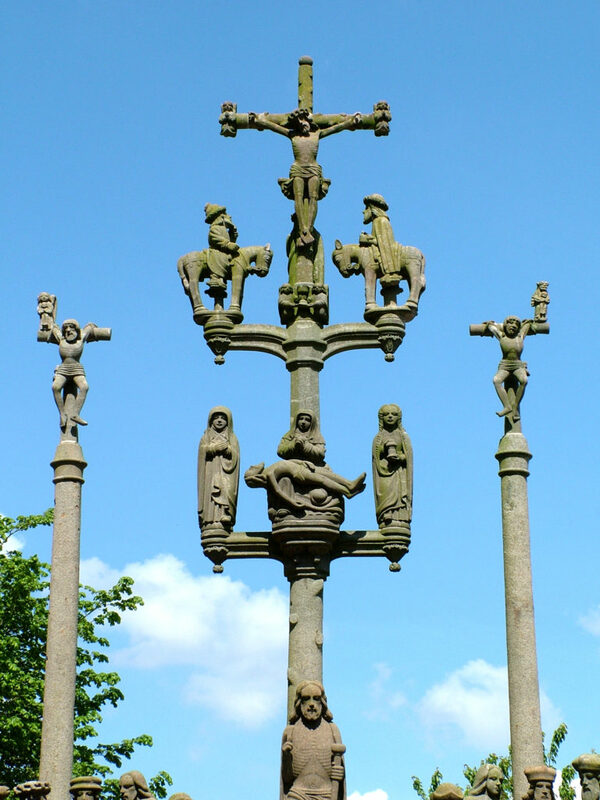 – Another similarity with Guimiliau’s calvary: the scene of Katell Golet being attracted in the Mouth of Hell.